How much income will you need during retirement? The myths and misunderstandings continue, despite growing evidence and research that debunk them. 5) You need 70, 80-85% of your current income level in retirement. A growing number of analysts and researchers on retirement income and spending patterns have found that most people will be fine if they target 50% of their pre-retirement earnings. Statistics Canada has many years of supporting data on this. You see, the focus should be on consumption dollars, what you spend on yourselves and your own lifestyle. For most Canadians, that excludes mortgages, child rearing costs and saving for retirement – things you wouldn’t necessarily be spending money on during retirement. You will need 100% of your consumption dollars and some extra money in the early, active years of retirement for those special trips and experiences you have dreamed about for years. Your actual replacement income goal will depend on your marital status, whether you own a home, whether you have children and how much money you earn, so the range can go from 40-60%. 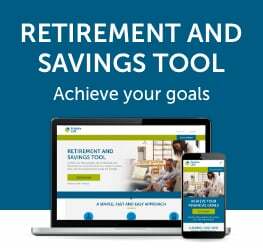 It’s really valuable to work with an advisor trained in the unique field of retirement income planning to work out what you need and what you want to do specifically, for the various phases of your retirement.